The most effective estate planning strategies often involve the use of irrevocable trusts. But what if you’re uncomfortable placing your assets beyond your control? What happens if your financial fortunes take a turn for the worse after you’ve irrevocably transferred a sizable portion of your wealth? If your marriage is strong, a spousal lifetime access trust (SLAT) can be a viable strategy to obtain the benefits of an irrevocable trust while creating a financial backup plan. A SLAT is an irrevocable trust that authorizes the trustee to make distributions to your spouse if a need arises. Like other irrevocable trusts, a SLAT can be designed to benefit your children, grandchildren or future generations. You can use your lifetime gift tax and generation-skipping transfer tax exemptions (currently, $11.18 million each) to shield contributions to the trust, as well as future appreciation, from transfer taxes. And the trust assets also receive some protection against claims by your beneficiaries’ creditors, including any former spouses. The key benefit of a SLAT is that, by naming your spouse as a lifetime beneficiary, you retain indirect access to the trust assets. 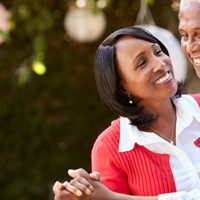 You can set up the trust to make distributions based on an “ascertainable standard” — such as your spouse’s health, education, maintenance or support — or you can give the trustee full discretion to distribute income or principal to your spouse. To keep the trust assets out of your taxable estate, you must not act as trustee. You can appoint your spouse as trustee, but only if distributions are limited to an ascertainable standard. If you desire greater flexibility over distributions to your spouse, appoint an independent trustee. Also, the trust document must prohibit distributions in satisfaction of your legal support obligations. Another critical requirement is to fund the trust with your separate property. If you use marital or community property, there’s a risk that the trust assets will end up in your spouse’s estate. There’s a significant risk inherent in the SLAT strategy: If your spouse predeceases you, or if you and your spouse divorce, you’ll lose your indirect access to the trust assets. But there may be ways to mitigate this risk. If you’re considering using a SLAT, contact us to learn more about the benefits and risks of this type of trust.